Take the pledge and Tryfor5 during National Nutrition Week! 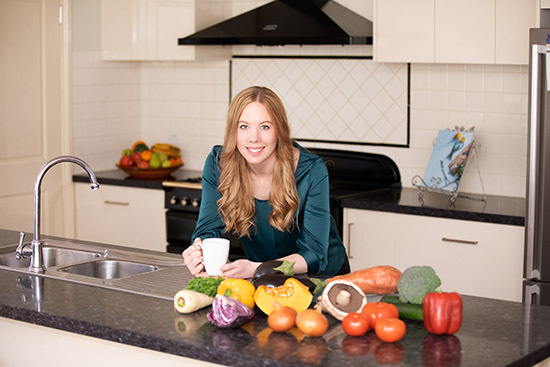 Do you want to find out simple ways to help you eat better and feel well? Get onboard and feel inspired to take part in the Tryfor5 Challenge and eat more vegetables. Eating plenty of vegetables is the first step in promoting sustained healthy eating habits and better overall health and wellbeing. Eating 5 serves of vegetables as part of a well-balanced lifestyle is important for physical and mental health. Vegetables are nutrient dense providing a good source of vitamins (such as vitamin C), minerals (such as magnesium, folate), fibre and many phytochemicals (bioactive compounds). Vegetables are also relatively low in energy (Kilojoules) and consumption of vegetables is suggested to be associated with a reduction in weight gain. A diet rich in vegetables has also been showed to have protective effect against cardiovascular disease, including a reduced risk of coronary heart disease, stroke as well as some cancers. There are five colour categories for vegetables, these include: orange, red, purple/blue, white/brown and green. The phytochemicals found in vegetables provide that vibrant colour and many healthy properties. Red vegetables such as capsicum contain lycopene which is a powerful antioxidant that can keep your heart healthy and reduce cancer risk. Green vegetables such as broccoli contain the phytochemical constituent carotenoids, saponins and indoles which confer anti-cancer properties. Orange/yellow vegetables such as carrots provide the phytochemicals carotenoids and play an important role in eye health. Purple/blue vegetables such as eggplant contain the phytochemical anthocyanins which provide antioxidant properties reducing the risk of heart disease and cancers. Brown/white vegetables such as garlic contain phytochemicals including allicin which provides antibacterial and antiviral properties. Choose vegetables that are in season and locally grown. For spring time go for: Antichokes, onions, beans, lettuce, beetroot, broccoli, cabbage, asparagus, Brussel sprouts, parsley, pumpkin, rhubarb, snow peas, bean shoots, zucchini, cauliflower, cucumber, leeks, spinach and mushrooms. Come by the Fitzroy, Pyrmont or Brisbane campus during National Nutrition Week (week 5 of the trimester) and see the Tryfor5 display located in the student lounge. We will be running fun nutrition activities such as a nutrition quiz, food sampling, and videos of cooking shows on screen and provide many handouts and recipes.